The Page 99 Test: Karin Vélez's "The Miraculous Flying House of Loreto"
Karin Vélez's "The Miraculous Flying House of Loreto"
Hilariously and unexpectedly, the Page 99 Test works for my history monograph The Miraculous Flying House of Loreto because it showcases the essential points of my book (I'll refrain from commenting on the quality). Interestingly, the Holy House in my book’s title is not the focus of the book’s page 99. On page 99, the house is overshadowed by three comparatively unknown seventeenth-century individuals who were “touched” (and some who literally got to touch) that sacred relic. These three men of note on page 99 include: 1) an Italian pilgrim, Nicolà Albani, who detoured to visit the Holy House on his way to more prominent Christian pilgrimage sites in Rome; 2) a Huron refugee and convert to Catholicism, Ignace Tsaouenhohoui, whose escape from enemy hands led him to Québec City and the eastern Canadian mission town eventually named Lorette; and 3) the unwitting bridge between them, the French Jesuit Pierre-Joseph-Marie Chaumonot. Like Albani and Tsaouenhohoui, Chaumonot was an “accidental pilgrim” who stumbled upon the shrine of Loreto as a young runaway. The visit inspired him to later become a Jesuit and to vow to build a replica of Italy’s Holy House on the Canadian frontier, where he was assigned to work as a missionary. 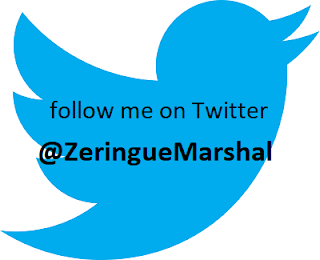 Page 99 of my book summarizes “the parallel patterns of spiritual growth” between this Jesuit, Huron convert, and common Italian pilgrim. These patterns include “approach[ing] holy sites desperately and without advance planning” and making “journeys to certify their membership in a mixed company that was neither exclusive nor polished.” Their stories of coincidence and re-routing are not those traditionally mustered to explain the spread of Catholicism. The usual narrative of how Christianity expanded out into the world stresses deliberate planning, organization, and often military might. But my page 99 foreshadows my alternative, Wikipedia-style model for understanding how Christianity took hold globally in the 1600s (see Chapter 8 of the book for a full discussion of how the early overseas portaging of Loreto resembles today’s Wikipedia). As the diverse players on page 99 suggest, the Holy House of Loreto and the particular form of Christianity that it embodied were carried to new moorings by self-appointed, mixed-rank, often peripheral amateurs. The “miraculous” here is the “accidental,” genuinely inadvertent randomness of movement so evident in the historical record...and so evident when one flips to page 99 of this publication. 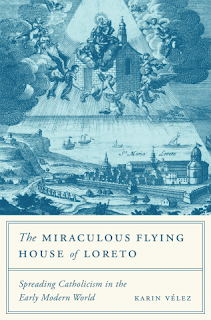 Learn more about The Miraculous Flying House of Loreto at the Princeton University Press website. My Book, The Movie: The Miraculous Flying House of Loreto.